The delicate flavor of White Peony is enhanced by the subtle, yet complex flavor of Oolong tea in this special certified organic blend. The perfect tea makes the perfect brew. Experience nirvana in a glass when you brew your KT with Kombucha Kamp's very own Yin-Yang Tea Blend. A perfect balance of organic black and white teas. This is our low caffeine blend with only 10% of the amount of caffeine as Hannah's Special Tea Blend. With a lighter flavor and profile, Yin Yang is great for those who wish to limit their intake of caffeine while still retaining some caffeine to stimulate the fermentation process. Want to try all three of our special blends? Grab a 3 Tea Sampler today! Or mix and match your favorite teas and tisanes with the Tea Saver 4 Pack. Both white tea & oolong provide exceptional health benefits. This tea is also enjoyable by the cup or in your teapot. This is my husband's favorite tea. He likes it because it is low in caffeine. This tea blend produces a kombucha with a mild, light delicate flavor. It is a blank, mellow canvas for a 2F for flavor. I love all Hannah's teas so far, so I decided to try Yin Yang - I am not disappointed. Its a really nice blend that is mellow and delicious. Love that it is Organic too. As always - quick shipping and great service. 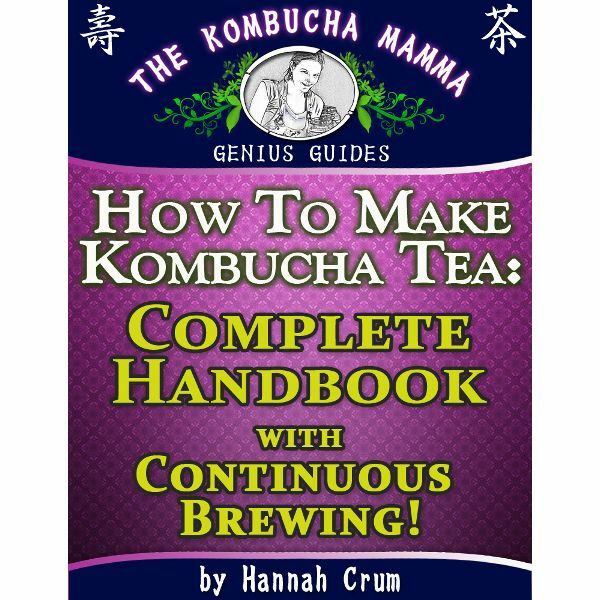 I love the kombucha made with this tea, but even better - my husband loves it! It has taken a long time, but thanks to these ingredients and the great instructions my husband is now addicted to kombucha as much as me!! My experience was FIVE STARS all the way around...product, price, service! Good tea blend. The Yin doesn't take toolong to balance the Yang. This blend is truly yummy. Hannah never disappoints! You will never get a bad brew with Hannah's awesome tea blends. They're also very high quality and reasonably priced and with her exceptional customer service, they're right on your doorstep in no time!